The earth is an amazing planet. There are so many different places to explore that it becomes overwhelming, especially when we find mysteriously formed islands, forests, and waterfalls. These 8 photos will show you just how brilliant Mother Nature can be when humans leave her alone. This lake sits among a massive forest in the backwoods of Russia. 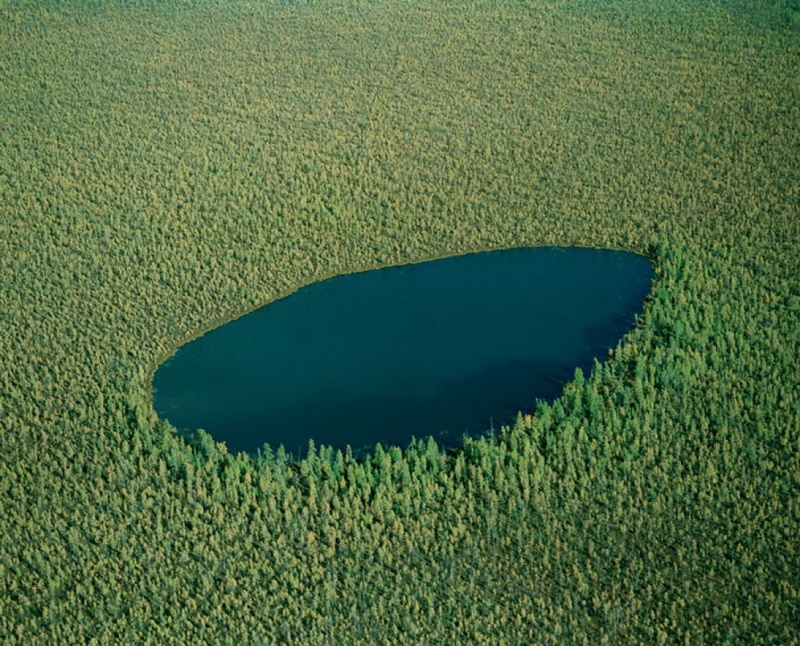 Researchers aren’t exactly sure of the coordinates of this mysterious lake, and nobody is certain how it formed in the middle of a dense forest. According to locals, the lake can be found nestled somewhere in the Tyumen region of Russia. We wonder if there are any interesting creatures living in that murky water.